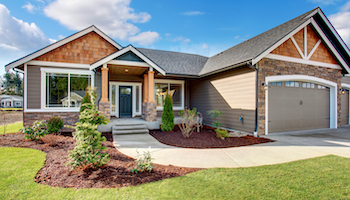 » Who profits when you refinance? Who profits when you refinance? If you refinance, you probably expect to save thousands of dollars over the life your home loan. You can achieve lower interest rates, lower monthly payments and possibly lower total borrowing costs. But knowing how mortgage companies and loan officers make their money can make sure you don't get cheated. One way mortgage lenders make their money is through the fees they charge borrowers, which include underwriting fees, points and processing fees. If the lender retains a loan, it will make money from the interest the borrower pays. The lender can also sell the loan, which is more common. The higher the borrower’s interest rate, the more the loan is worth. "Most loans today are sold on the secondary market to Fannie Mae or Freddie Mac, though the consumer may not be aware of it because they still make their payments to the originating lender," says Victor Benoun, president of The Mortgage Source in Studio City, Calif.
"Lenders receive a fee of about 0.375% for collecting payments and servicing, so it can be very lucrative to have a large servicing portfolio." The value of a servicing portfolio lies not just in the loans, but in positioning the lender to sell other services to a consumer, such as insurance and credit cards. Loan officers can increase their rebate by charging you a higher interest rate and by tacking fees onto the loan. They don’t get to keep all of the money, however. “The broker or branch he or she works for may take a cut of anywhere from 5% to 95% of that total compensation,” says Seth Rabinowitz, a partner at management consulting firm Silicon Associates and founder of the residential lending business MyLoanMarket.com. Contact your existing lender first. "A lender's servicing portfolio is the most valuable asset they have, and preventing 'runoff' is critical to the long-term health of the company," says Greg Cook, a California real estate broker. If the lender wants to keep you as a customer, they might offer you an inexpensive refinance. Negotiate fees. "All fees, including processing fees, underwriting fees and points, are negotiable and can be eliminated," says Rabinowitz. "Any fees you see on a proposed settlement statement (called a HUD-1 or simply a HUD in industry parlance) can literally all be completely eliminated if the loan officer wants to. 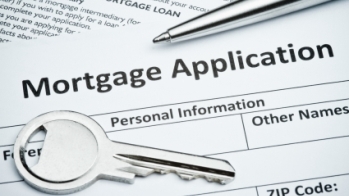 You may get a higher interest rate as a result, but sometimes not." Compare good faith estimates. "Consumers should get more than one good faith estimate to compare total loan costs," says Sam DeBord, a managing broker with Coldwell Banker in Seattle. "Each fee individually is not as important as the total fees associated with the loan." Get a recommendation. "The consumer should look for a referral from a real estate professional, colleague or friend who has positive things to say about a loan officer," says Doug Andraka, a Pennsylvania mortgage banker and branch manager for Superior Home Mortgage Corp.
"Many times, it is not so much the company that makes a positive difference, but the loan officer that you are dealing with."